8 Amazing Hikes in the U.S. 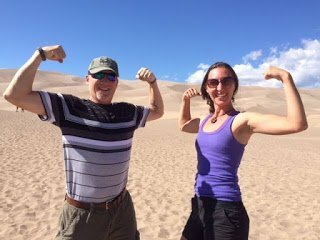 When we began our RV travel adventures in late 2014, we tried to come up with something to do together, enjoy the outdoors, learn something that would also be physically exerting to keep us healthy. 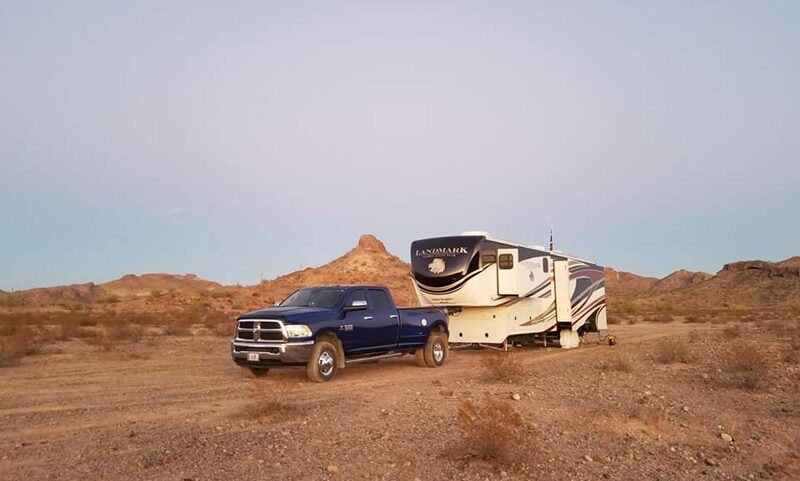 We watched a few of our younger RV friends go on some awesome hikes in places we’ve only dreamed about or have seen in travel magazines. It was then the hiking bug bit us! After our first hike, we were hooked. If you’ve been reading our blog, you will notice that we’ve previously written an article of our Hiking Tips and Advice for Beginners. This was our very first hiking experience. We’ve learned so much from our first hike since July 2015. What a difference a year and a half makes. We found this place after we moored Liberty at Fort Robinson State Park while on a sunset motorcycle ride up to the Nebraska-South Dakota border. We saw a small, brown, historical marker pointing to the dirt road that led to this moon-like landscape. It is managed by the U.S. Department of Agriculture’s Forest Service. 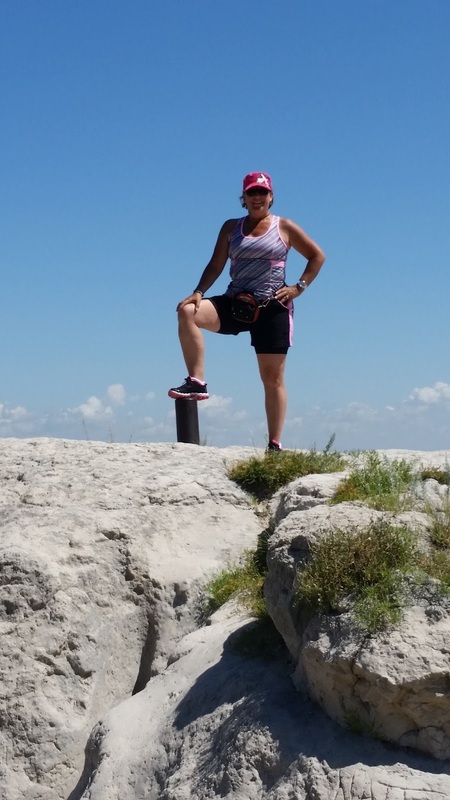 Though a smaller hiking venue, this place was amazing and a great introduction to hiking! This is where we got hooked. Highly recommend! 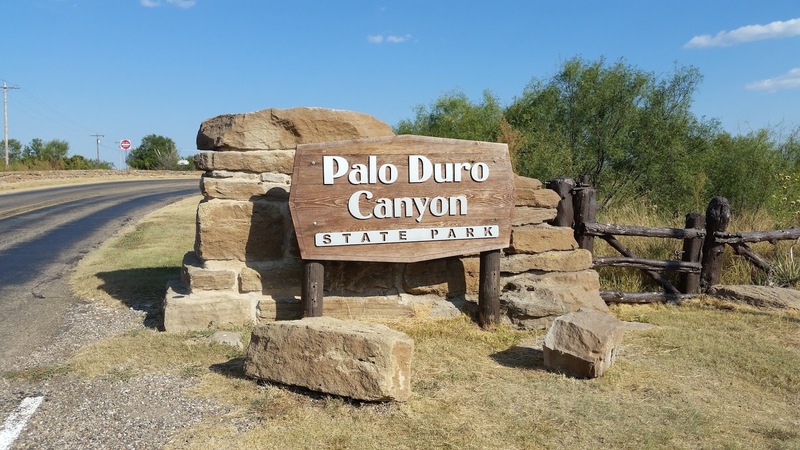 When we arrived at Palo Duro Canyon, we were amazed at the sudden deep canyon as we drove from Amarillo where Liberty was parked to the inside of this Texas State Park. 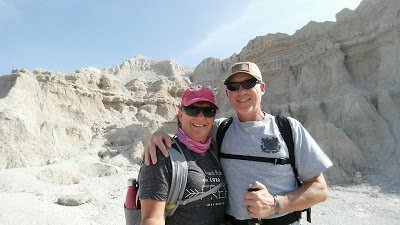 This was our first hike using trekking poles; poking in the piles of rock and rubble and around the scrubs and using them in our strides. 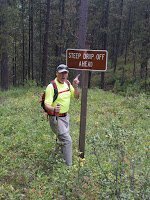 We also used them on steeper trail terrain for support. The massive red rocks and sandy formations were sensational. We found a cowboy dugout on one of the trails and learned what flood washes were (they don’t have those where we grew up). The vastness of this State Park is incredible. The color differences in the rock and sediment layers changed by the minute with the sun. We plan on visiting Palo Duro Canyon again when we get back to Texas. on a cross-country motorcycle trip before starting our RVing. While we didn’t get to hike it back then, we knew we just had to experience the unexpected beauty of the bluffs in western Nebraska. This beautiful monument is managed by the National Park Service. When we think of Nebraska, we think of lots and lots of cornfields and cows, but hold your horses! There’s so much more in the western region of the state where the Oregon Trail goes through from Missouri to Oregon in the 1840’s! Lots of nomadic history too. Click on the link if you’re interested in reading about our hike to the top of Scottsbluff National Monument. Their words, ‘one step forward, three steps back’ is how their hike went. 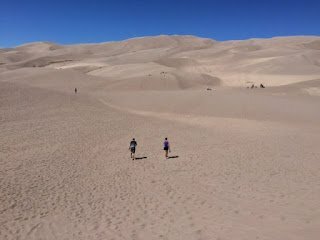 If you’ve ever hiked in dry sand, you’ll know what I’m speaking of. But it’s certainly no walk on the beach as hiking the Dunes had you walking up and down several dunes just to get to the top of the highest. 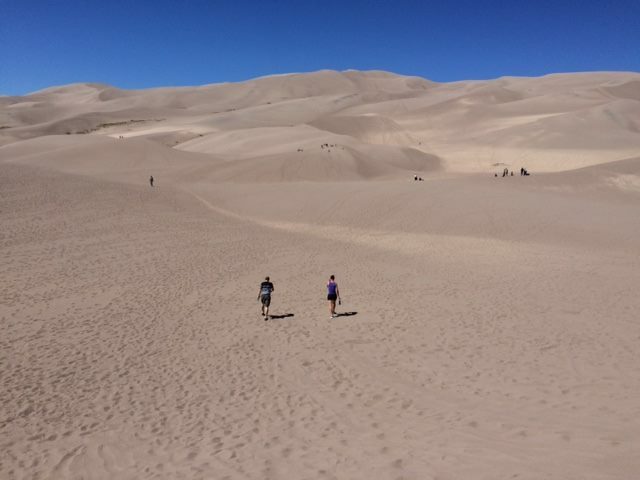 More than a few times, they had to stop for breathers, water breaks and to empty their shoes of the sand. Eric and I had lost sight of them as they were making their way; they looked like little ants. What seemed like eternity to Eric and I, they finally returned red-faced, tired and parched but they felt accomplished. Come read more about our Great Sand Dunes Hiking Adventure! Challenge met! They did it! 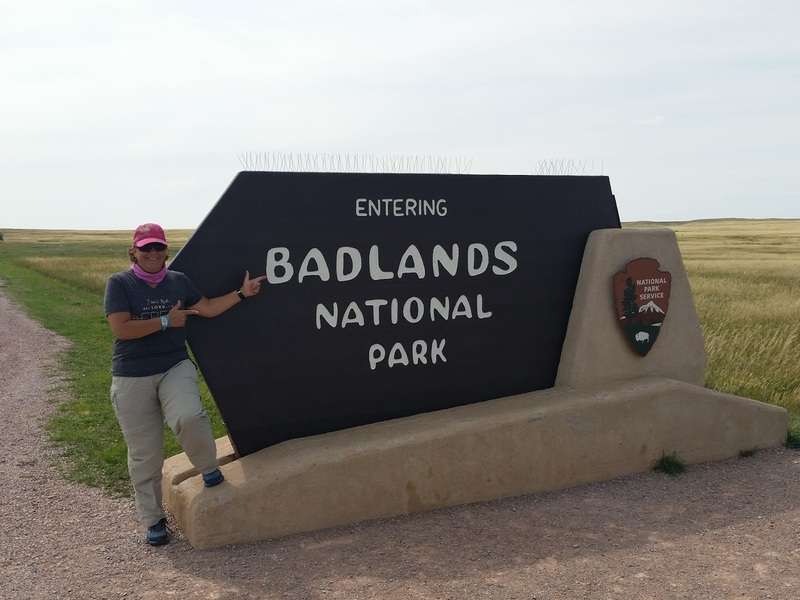 In our 2016 RV adventure planning, we included this one in our stops. When we arrived, we were taken aback by the vastness of different colors layering the desert. It took all day of starts and stops; getting out of Captain America (our dually) to hike a mile or two at different overlooks. 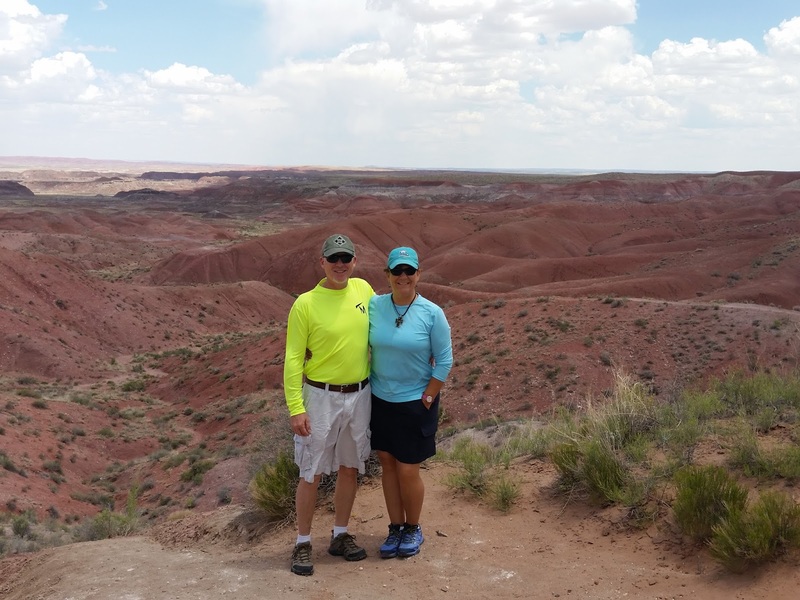 This was our first hiking experience in the Southwest United States. 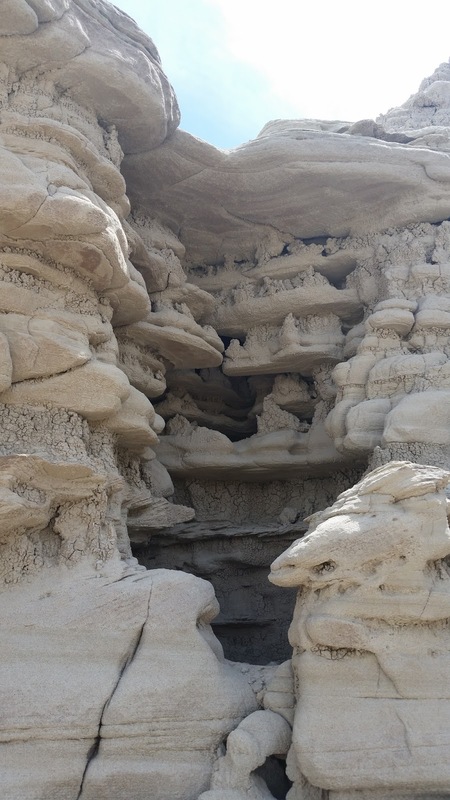 We learned about the prehistoric history, saw petroglyphs, touched the layers upon layers of petrified wood and enjoying the beautiful weather. 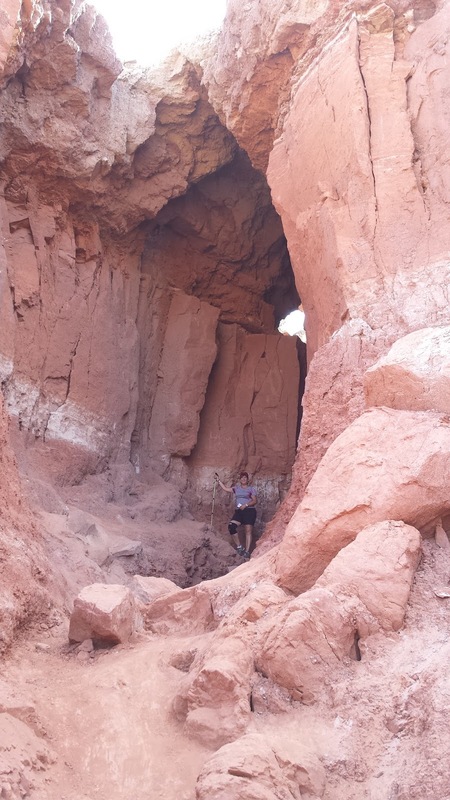 We’ve hiked inside caves but this one truly takes the cake! 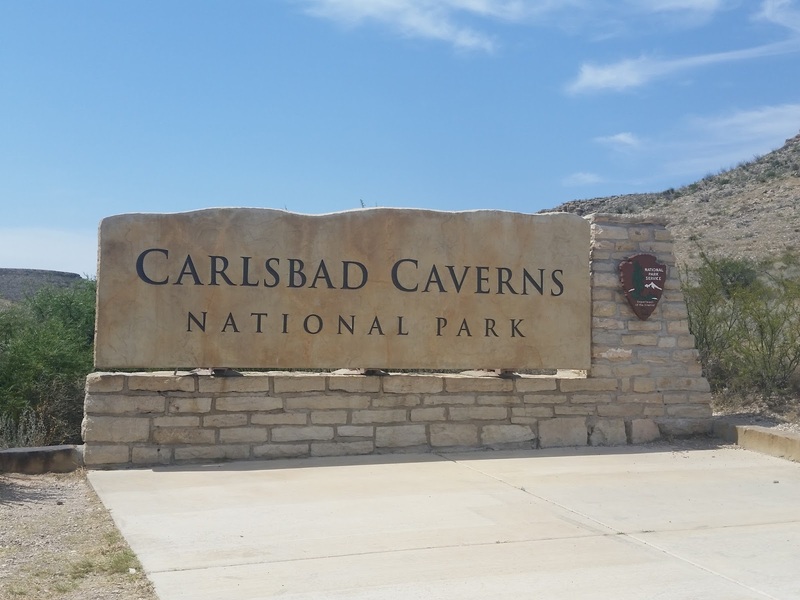 Did you know that Carlsbad Cavern, located in the Guadalupe Mountain Range from west Texas to New Mexico, is one of over 300 limestone caves in a fossil reef laid down by an inland sea over 250 million years ago!? Did you also know that this great National Park has more than 119 limestone caves; receiving almost 400,000 visitors each year? Oh, and 17 species of bats? Carlsbad Cavern is over 1000 feet deep and has 30 miles of mapped passages. So you can imagine our curiosity to see and trek America’s ancient bottomless pit marvel. Over 5 miles of underground hiking gave us perspective of where the history of our earth ensued. We also stayed until after dusk to see 400,000 bats take their evening flight to hunt. Don’t miss this one…just don’t! Watch for a blog entry on this incredible cave experience. 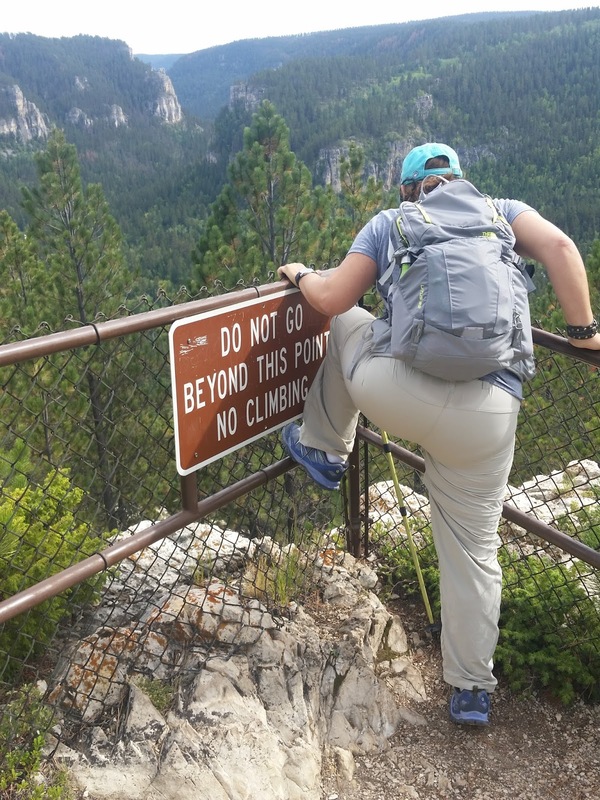 Man, oh man, this is the primo of hiking! The views are just incredibly massive. The baren landscape left much to the imagination. 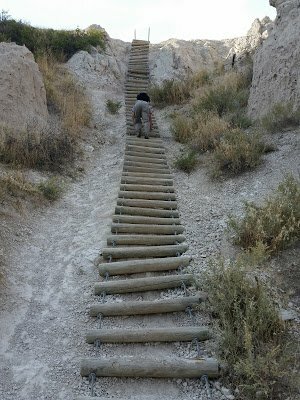 We started on the Window Trail (boardwalk) to get a taste of what to expect. 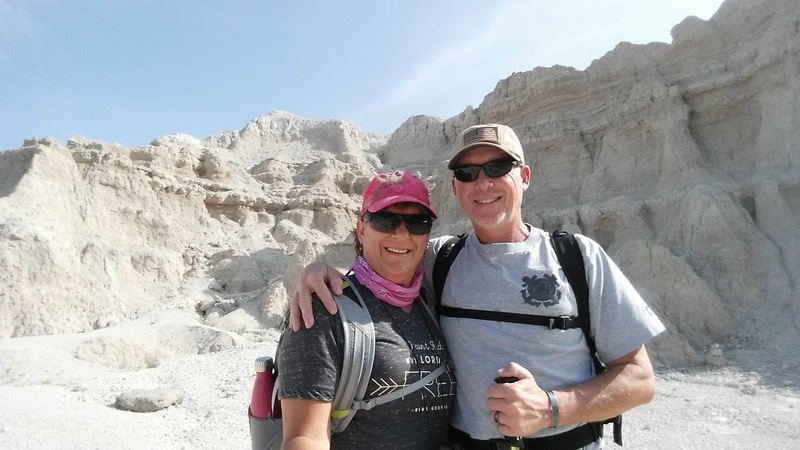 We graduated ourselves to Saddle Pass and Notch Trail that challenged us to a vertical log ladder climb to the top where it joins in to heights overlooking the White River Valley. We were able to score some awesome photography and stay for a sensational sunset over the park. We promise you won’t be disappointed! Oh, and we must have hit the best time to go in August; no crowds and the weather was spectacular!! Stay tuned! We will be blogging about this one soon! THIS trail…hmmm, how could I, as a writer, explain this one. How about this? It will utterly leave you breathless! 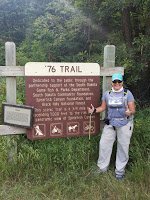 The 76 Trail is only a one miler but don’t let the small distance push you into thinking, “this will be done in 15 minutes”. This trail is not for the faint at heart (or lungs) and certainly not for beginners and those with a fear of heights. 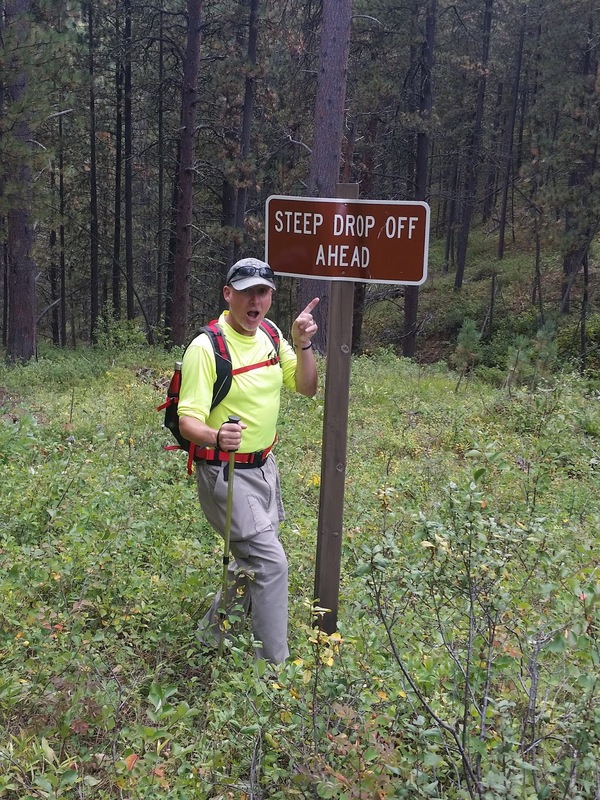 Its designated as a ‘difficult trail’ by experienced hikers. This challenging Black Hills trail is located in the Savoy area of Spearfish Canyon, South Dakota. 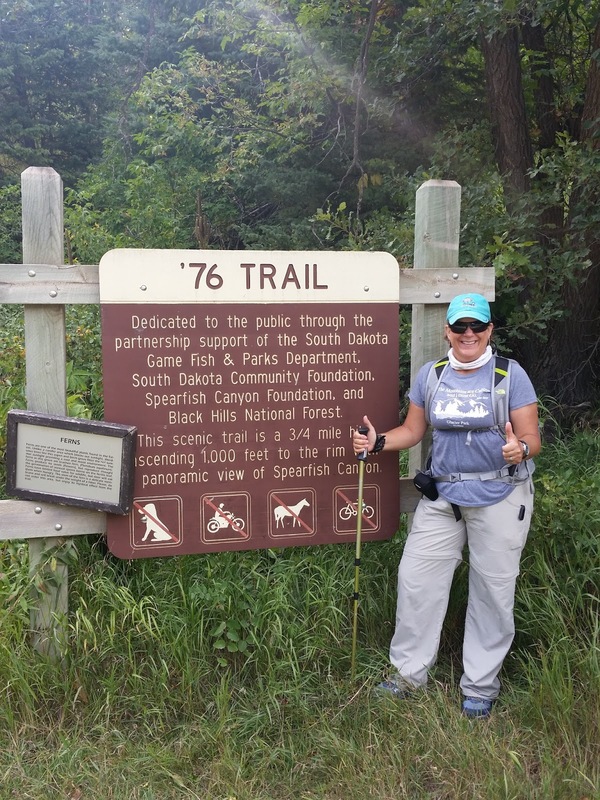 The 76 Trail is marked and located right near the Roughlock Falls at the lodge intersection where we parked. If you have short legs like mine, you’ll be tasked to slay it’s high log steps. Going down was much more difficult and my knees punished me that evening, but the view was our reward; saved only for those who appreciated it’s arduous climb. We packed a lunch and ate at picnic tables outside the lodge to replenish afterwards. We’ve hiked some other awesome trails at different places and in different states and regions but these are our top for 2015-16; our first two years, not only as RVers but also as Hikers. We’ve learned a ton of history and geology, about hiking and ourselves. We are still hiking and are adding more favorites to our list.